The government of Equatorial Guinea has launched two international training programs aimed at building capacity in the natural-resources sector and improving education and literacy. Equatorial Guinea has partnered with http://hydracsa.com/html/enHydrac, a company that safeguards installations and investments for the petroleum industry in Cameroon and the Gulf of Guinea region, to provide training and technical assistance. A delegation of specialists in control and inspection from the Ministry of Mines, Industry and Energy received initial training during a recent visit to Cameroon. The oil sector has played a major role in Equatorial Guinea’s development, and the government is investing heavily to build capacity in the sector. The Minister for the Ministry of Mines, Industry and Energy, Gabriel Mbega Obiang Lima, has signed several technical cooperation agreements, including this latest one for cooperation in training and technical assistance. This agreement includes provisions for hosting various information and awareness seminars for industrial operators in control and periodic inspections. During the delegation’s visit to Cameroon, the members agreed to hold a seminar on industrial risks at the end of the year in the capital city of Malabo. The first nine-month training program will focus on oil, quarry and mine inspection. 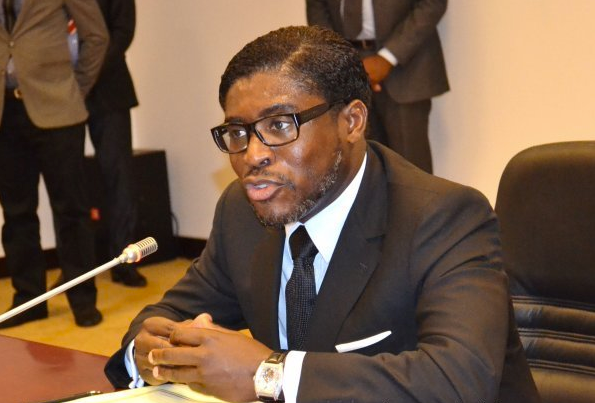 “The noticeable development of Equatorial Guinea’s oil sector is a top priority for the government and its efforts to invest in the training of the sector is of great national importance for the efficient utilization and management of the country’s natural resources,” said Gabriel Mbega Obiang Lima. Both sides stressed the importance of this type of agreement to strengthen south-south cooperation, which is essential to the development of the economies of the Republic of Cameroon and Equatorial Guinea. Earlier this week, Maria Leonor Epam Biribe, Equatorial Guinea’s Minister of Social Affairs, and Pedro Doña Santana, Cuba’s ambassador to Equatorial Guinea, signed an agreement to implement a Cuban teaching method, a successful international teaching program that has been validated by UNESCO and other international organizations. The program will start with the placement of a consultant in Equatorial Guinea to support the country’s literacy program for adults, youth and adolescents with a program called ‘Yes I can’. The ‘Yes I can’ program, developed by the Latin American and Caribbean Pedagogical Institute (IPLAC) in Cuba, has proven successful in countries like Uruguay, where the program was adapted to improve the teaching materials and methodology used in the country. 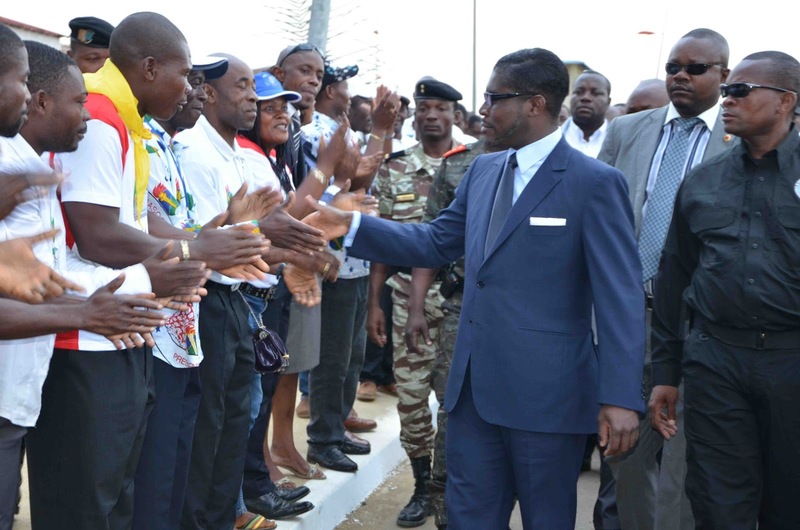 Equatorial Guinea expects to see vast improvements with the implementation of this program. This week, the United States District Court for the Central District of California granted a motion for summary judgment to Teodoro Nguema Obiang Mangue, Equatorial Guinea’s Vice President, which dismissed the U.S. government’s claims that the Vice President had violated the laws of his country. 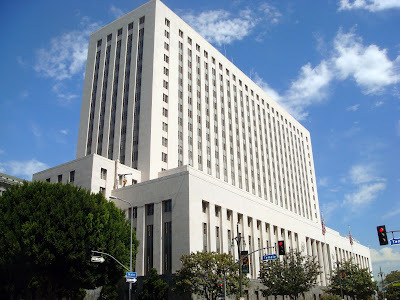 The District Court of Los Angeles ruled that the government did not have probable cause to bring those charges. Duane Lyons, who represented Equatorial Guinea’s Vice President before the court talks about the case and U.S. District Court Judge George H. Wu’s ruling. Teodoro Nguema Obiang Mangue, Equatorial Guinea’s Vice President, has offered to work with the United States government to resolve remaining legal issues after a federal judge dismissed most of the case the government had brought against him. Mr. Nguema has also vowed to fight the remaining charges that he had violated the Banking Law of the United States when his former attorneys opened some bank accounts for him. Previous efforts by Mr. Nguema to cooperate with the investigation were rebuffed by the Department of Justice, according to his legal representatives. Earlier this week, the United States District Court for the Central District of California granted a motion for summary judgment to Teodoro Nguema Obiang Mangue, Equatorial Guinea’s Vice President, which dismissed the U.S. government’s claims that the Vice President had violated the laws of his country. 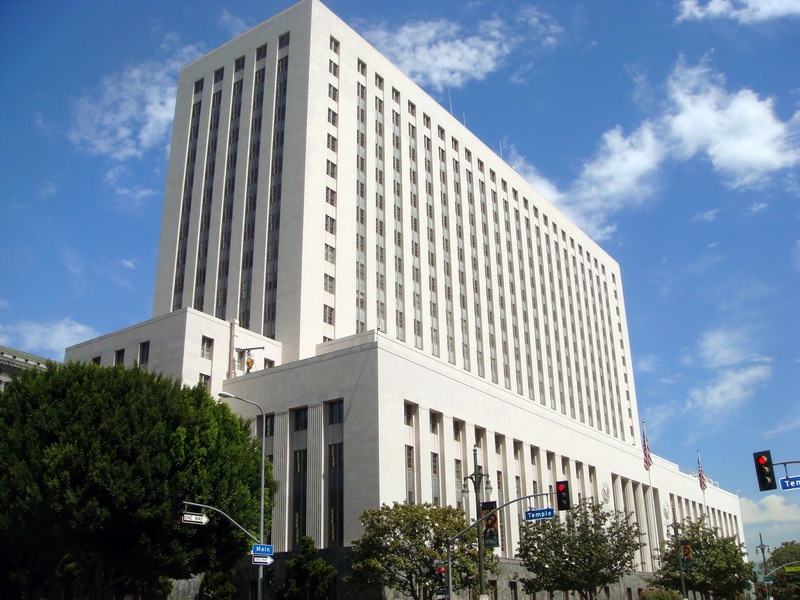 The District Court of Los Angeles ruled that the government did not have probable cause to bring those charges. Mr. Nguema said he was grateful for the ruling, but never doubted that he would be vindicated in this long-running case. “In expressing my gratitude for this dismissal, I find it unfortunate that this case has taken two years to get to this point. However, I have always been sure of our victory,” he said. As I have always stated since the beginning of the investigation against me, the U.S. government never had reasonable grounds to believe that I had violated the laws of our country, Equatorial Guinea. After full and careful consideration of all the evidence presented by the government of the United States, the District Court of Los Angeles has ruled that the three separate accounts on which this action was instituted lacked any consistency and admitted the motion presented by my lawyers, effectively dismissing the allegations of the case. In expressing my gratitude for this dismissal, I find it unfortunate that this case has taken two years to get to this point. However, I have always been sure of our victory. After the unsuccessful filing of its initial accusation, the U.S. government has amended its complaint alleging that I had violated the Banking Law of the United States at the time my former attorneys opened some bank accounts. Now that the Court has ruled in my favor in the original complaint, we will also defend ourselves from that new pretext, and I'm sure that we will also win on that occasion, convinced that this entire situation is being orchestrated by some institutions and people with undeclared interests, with the intent of diverting attention from the development process of our country, in order to cloud the good relations of cooperation maintained between the Republic of Equatorial Guinea and the United States and other ally countries. Personally, and on behalf of my country, I'm still confident that this misunderstanding with the United States can be resolved. I understand that there can be disagreements between friends. If I am given the opportunity, I intend to work with representatives of the U.S. government to achieve a mutually acceptable resolution of this controversy that will allow us to move forward together in the work for the continued development of Equatorial Guinea. Justice Department did not show probable cause to bring civil action. Vice President Nguema is willing to meet with the U.S. government to settle issues raised in the case. A federal judge in California has granted a motion for summary judgment to Teodoro Nguema Obiang Mangue, Equatorial Guinea’s Vice President, dismissing the U.S. government’s claims that the Vice President had violated the laws of Equatorial Guinea. U.S. District Judge George H. Wu ruled that the government did not have probable cause to bring those charges. The Department of Justice filed suit in 2011 to seize certain of Mr. Nguema’s assets, including a home in Malibu and a collection of Michael Jackson memorabilia. At that time, the U.S. government claimed that Vice President Nguema had violated the laws of Equatorial Guinea, that he had amassed a large fortune from those violations, and that he then used those funds to acquire assets in the United States. The court ruled on August 20, 2013, in the case of United States of America v. One White Crystal Covered Bad Tour Glove and Other Michael Jackson Memorabilia that the U.S. government did not have probable cause at the time it initiated the action. And that the evidence the government presented was insufficient to meet the required legal standards. “The U.S. government claimed that the Vice President violated Equatorial Guinea law, but the government had not identified a single victim of any of the criminal activity or identified an illegal contract or any type of illegal activity,” said attorney Duane Lyons, who represented Mr. Nguema before the court. “In fact, the court noted that the only thing that the government could point to was that the Vice President had spent a significant amount of money. Most of the government’s allegations were based on rumors from newspapers and magazines. The government can rely on those to some degree, but in the first instance they must corroborate or determine that the sources of those newspaper articles are reliable, and the government did not do that,” Mr. Lyons said. The government made no effort to confirm any of those allegations, said Mr. Lyons, a former Assistant United States Attorney. “That newspaper they relied on was insufficiently credible to support probable cause, so the court rejected the government’s contention that there was probable cause to commence this action, and granted the motion,” he said. This decision made final Judge Wu’s tentative ruling in this case. The court allowed the U.S. government to file two amended complaints in order to demonstrate that it possessed the evidence required by law at the time it initiated this action. The court concluded that none of the evidence in the U.S. government’s possession at the time it commenced this action provided probable cause to believe that Vice President Nguema had violated the laws of Equatorial Guinea. The government also claimed that Mr. Nguema had violated United States law regarding bank fraud. That claim was not pleaded in the original complaint, but was included in an amended complaint in 2012. The court has ruled that those claims can go forward. Mr. Lyons said that Vice President Nguema remains willing to work with the U.S. government to try to reach a reasonable resolution of the issues raised in this case. “In the past, the Vice President has offered to sit down and meet with representatives of the government to discuss a path that might resolve this case amicably so that both countries can move forward with a positive relationship, and we hope that the U.S. government will look at the status of the case as it currently sits and come to the conclusion that now will be a time to discuss some meaningful path toward settlement,” said Lyons. MALABO, Equatorial Guinea—August 12, 2013—Equatorial Guinea’s President, Obiang Nguema Mbasogo, called on the Gulf of Guinea heads of state to maintain stronger vigilance and create a maritime security body in order to overcome security and stability issues affecting the zone. President Obiang, who was also named President of the Gulf of Guinea Commission (GGC), also expressed his desire to integrate more states bordering the gulf as members of the organization. The GGC was founded in 1999 with member states Equatorial Guinea, Angola, Cameroon, DR Congo, Republic of Congo, Nigeria, Sao Tome and Principe and Gabon. During his speech, President Obiang called for closer relations with international organizations such as the United Nations, the African Union, the Economic Community of Central African States (ECCAS) and the Economic Community of West African States (ECOWAS), to face the challenges affecting the GGC. The third meeting of the GGC heads of State and Government analyzed the report on the activities of Miguel Trovoada, Executive Secretary of the GGC, particularly the implementation of the Interregional Center for the Coordination of Maritime Security in the Gulf of Guinea. In the conclusions, he recognized that, although the results were not up to expectations, the visibility achieved by the CGG is a step forward in promoting and defending the interests of the States and the people of the Gulf of Guinea. In the final communiqué Nigeria was appointed as Executive Secretary, Angola the Deputy Executive Secretary for Political Affairs, Cameroon as Executive Secretary for Natural Resources, Gabon as the Financial Director, and Equatorial Guinea as Administrative Director. Jose Eduardo dos Santos of Angola, Denis Sassou Nguesso of the Republic of Congo, Ali Bongo Ondimba of the Republic of Gabon, Manuel Pinto da Costa of the Democratic Republic of Sao Tome and Principe, the Minister of Foreign Affairs of the Republic of Cameroon, Pierre Moukoko Mbonjo, on behalf of the President Paul Biya, the Extraordinary Ambassador and Plenipotentiary of the Democratic Republic of Congo, Luambo Francois, on behalf of President Joseph Kabila Kaban and the Minister of Foreign Affairs of the Federal Republic of Nigeria, Nurudeen Muhammad, on behalf of President Goodluck Jonathan attended the 3rd GGC Summit held in the Sipopo Conference Center in the capital city of Malabo. Anatolio Ndong Mba, Permanent Ambassador of Equatorial Guinea to the United Nations, has assumed the rotating chairmanship of the African states group and will lead the permanent representatives from African nations during the group’s meetings, United Nations General Assembly (UNGA) plenary meetings, and events that take place during the month of August. The agenda for the upcoming meetings will focus on issues related to the Global Development Agenda Post 2015 and progress in reaching the Millennium Development Goals, progress in realizing international support for the draft Resolution for the New Partnership for Africa's Development, and special events and high-level meetings to be held during the 68th session of the General Assembly next September. Last month, Vuk Jeremic, UNGA President, met with President Obiang Nguema Mbasogo, Agapito Mba Mokuy, Minister of Foreign Affairs and Cooperation and the country's Permanent Ambassador to the United Nations, Anatolio Ndong Mba to discuss issues affecting the country such as security and development. This was the first time that a UNGA President visited Equatorial Guinea. “I took the opportunity of this meeting to congratulate President for the development that Equatorial Guinea has experienced. This development deserves the support of the United Nations,” said Vuk Jeremic. 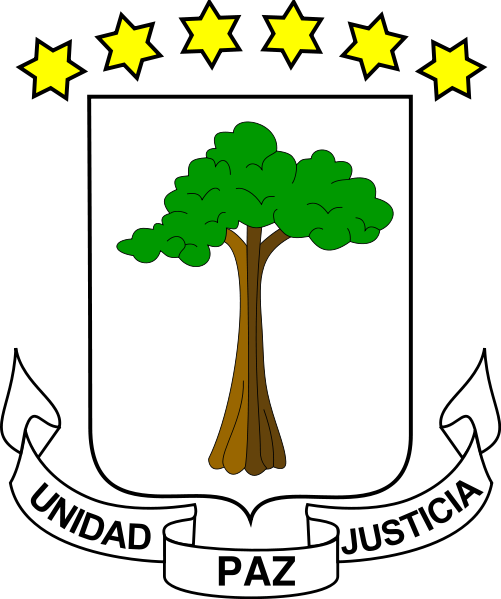 Equatorial Guinea hosts a number of UN programs, including the United Nations Population Fund (UNFPA), UNICEF, and the UN Development Programme, which has conducted a national census with funding from the government. Equatorial Guinea has also provided technical assistance to the local United Nations Population Fund (UNFPA) to improve the effectiveness of its assistance program and has implemented a host of health programs geared toward improving the health of Equatorial Guineans. The West African nation and the Food and Agriculture Organization of the United Nations (FAO) recently signed an agreement that called for the FAO to invest US$3 million over three years to develop poultry farming in rural Equatorial Guinea.